A mint mark is a small letter (D and S being the most commonly encountered) somewhere on the coin. A mint mark tells you where the coin was made. Many coins also have the designer’s initials hidden somewhere in the design. This is not the mint mark. 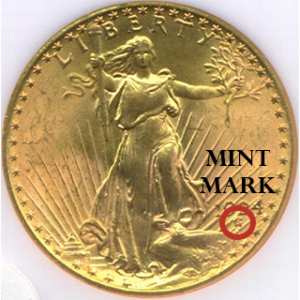 The mint mark is almost always directly on the field and not usually part of any other device. 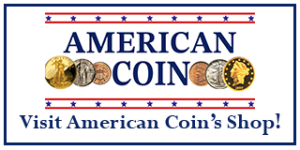 Many American collectors collect coins by date and mint mark. The presence of a mint mark can, and often does, change the value of a coin considerably. This is because it can affect the rarity of the coin. For example, in the case of 1894 dimes, having the ‘S’ mint mark adds tens of thousands of dollars to the value of the coin as only 24 were minted. The following list provides a hint as to where to look for the mint mark. 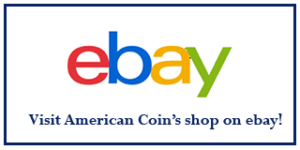 Any coin not listed was probably only made in Philadelphia and thus lacks a mint mark. Indian Head Cents – 1908-09 only (S) on the reverse under the wreath. V Nickel (1912 only (D,S)) – Under the dot to the left of the date. 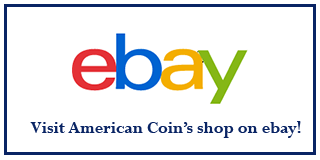 Buffalo Nickel – (D,S) – Under the “Five Cents” on the reverse. Jefferson Nickel – (D,S) – Before 1965 Reverse to the right of building. Since 1968 on the obverse under the date. Wartime Silver (1942-45) on the reverse large above the building. Mercury Dime – (D,S) Reverse to the left of the bottom of the faces. Roosevelt Dime – (D,S) Reverse to the left of the bottom of the torch. Standing Liberty Quarter – (D,S) To the left of Liberty’s feet on the obverse. Washington Quarter – (D,S) 1932-1964 Under the olive branch on the reverse; 1968-1998 Obverse to the right of the bow. ; 1999- still to the right of the bow. Kennedy Half Dollar -(D,S) 1964 – Under the left claw of the eagle; 1968-Present – Obverse under the bust of Kennedy. Trade Dollar – (CC,S) Reverse above D of Dollar. Morgan Dollar – (CC, O, S, D) Reverse below wreath. Peace Dollar – (D,S) Reverse Below ONE. Eisenhower Dollar – Obverse under bust. Sacajaweah Dollar – To be determined. 2000 is close. 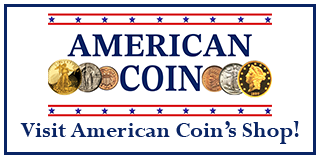 Gold Coins – In general, look under the tail of the eagles or wreaths on the reverse. Incuse Eagle – To the left of the arrows under the eagle on the reverse. Commemoratives – Just look around the coin carefully. Remember the mint mark is generally in the field, not part of the device. Possible mint marks are (D, S, W).